I first started working out with Shaun in 2013 in order to get fitter and lose some extra weight. Shaun was extremely professional and pulled together a dietary plan as well as a strict exercise regiment which consisted of various cardio and strength exercises. I felt thoroughly challenged in my sessions with Shaun and always finished feeling extremely positive about what I had achieved. 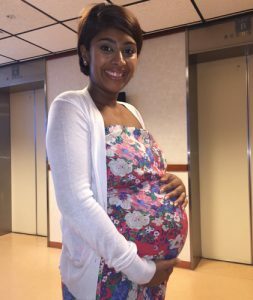 When I found out I was pregnant with my first child I wanted to ensure I kept my core fitness level up in order to maintain my energy levels throughout my pregnancy. Shaun designed a personalised fitness plan for me to ensure I built my core strength. I found that the sessions with Shaun ensured that I did not gain any excess weight and I had no common pregnancy related aches and pains like backache and swollen ankles due to the workouts that I did. I am looking forward to continuing my sessions with Shaun after the baby comes in order to tone my body and bring me back to my pre pregnancy shape. I cannot recommend Shaun enough to anyone looking for a motivated and personable personal trainer. He definitely gets results!